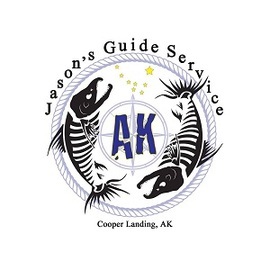 Jason's Guide Service offers fully guided fishing trips for Rainbow Trout, Dolly Varden Char, Sockeye, and Silver Salmon year round on the Kenai Peninsula. The Kenai River is a complex system and the fishery can take many years to comprehend. If you're looking for a Kenai River fishing guide, Jason Lesmeister is an excellent choice for your fishing experience. Lesmeister has over 20 years experience guiding Alaskan fishing trips and he has 10 years on the Kenai River salmon fishing and trout fishing. His background regarding the Kenai River resource, as well as his knowledge and understanding of the salmon fishing and trout fishing on this amazing waterway, will ensure your Alaskan fishing trip will create memories that will last a lifetime. Experience is key when fishing the Kenai River, so make sure you choose a fishing guide that has the background, knowledge, and understanding necessary to ensure a productive Alaskan fishing adventure. You will get that with Jason Lesmeister, and Jason's Guide Service. Call now, book a guided fishing trip, and create memories this year. We look forward to fishing with you.